We can handle repairs and cleaning for hot tubs & spas in Mooresville. Relaxing in a swimming pool or hot tub is a great way to unwind after a busy day. However, many people don’t have the space on their properties to install a pool. A hot tub is a great alternative, offering a number of the same health and wellness benefits as a pool, along with a few unique ones. Hydrotherapy delivers targeted relief to sore and aching muscles and joints, while sitting in a hot tub can reduce chronic pain and inflammation over time. After a soak, you might find that it’s easier to sleep at night. Hot tubs & spas are great additions to any property. When you have a hot tub or spa, you may find that the upkeep is more than you can handle. It’s important to keep up on cleaning and adding chemicals to the water to maintain the proper balance. 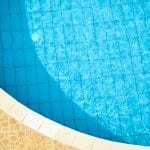 At Cayman Pool & Spa, we can handle repairs and cleaning for hot tubs & spas in Mooresville, North Carolina. In addition to providing these services for hot tubs & spas, we also carry a variety of supplies for hot tub owners. Whether you’re shopping for chemicals and cleaning supplies or a cover to keep the heat in your tub, you can find it at our well-stocked store, conveniently located off I-77. We’re proud to offer the best service and supplies for owners of hot tubs & spas, so visit our store to find out how we can help you with yours.